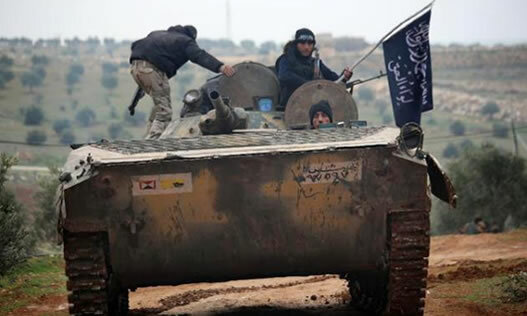 Al-Qaida and its coalition forces captured the city of Ariha on Thursday May 28, assuming control over most of the Syrian province of Idlib. 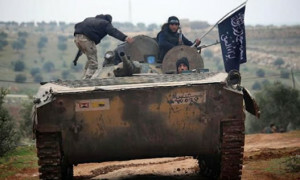 According to AFP, Syria Human Rights Watch reports that the city was taken following a large attack by Jeyshol-Fatah, which is a coalition force with the Al-Nasra Front, a branch of Al-Qaida in Syria. In Idlib, the Beshar Assad regime now controls only two small Shia cities and a number of military bases as well as the Aboo-Alzohur Airport. The province is located in northwestern Syria near the Turkish border. Syria Human Rights Watch says most residents of Ariha are Sunni and “the city fell after government forces and Lebanese Hizbollah forces retreated”. Rami Abdolrahaman reports that a number of Iranian military forces were also present in the city before the retreat. The Syrian regime also lost control of Palmira in the past week and now, according to Syria Human Rights Watch, half of Syria is in the hands of ISIS forces.